The goal in adding so many new developer technologies into Leopard is to make it easier for you to create compelling, rich, and amazing new applications. Once upon a time, a great application was defined by the functionality it provided. Then, over time, the ease of use of an application became important—it wasn’t enough just to get the job done, it had to be easy to do so. In the last few years, the bar has been raised again. Now, a truly great application isn’t just defined by its features and how easy it is to use them, it’s also defined by how enjoyable it is to use. By taking advantage of the technologies in Leopard, you can add that extra level of detail that makes your applications not just useful, but highly desirable. You can give them that “wow” factor that will bring your customers back to your application again and again. You can begin Leopard development with the Leopard Early Start Kit. Included with ADC Premier and Select membership, the Kit provides advance access to development resources that help you to innovate using Leopard technologies, including Leopard prerelease software, documentation and code samples on the Leopard Dev Center, and WWDC 2006 Leopard session videos through ADC on iTunes. To help you get acquainted with what’s coming in Leopard, ADC is presenting a series of articles on Leopard technologies over the next several months. These articles will take a deep look at Xcode, Objective-C 2.0, Core Animation, Image Kit, Instruments, and much more. We’re starting the series with a broad overview of more than two dozen new and enhanced technologies, tools and APIs that are coming in Leopard. As a developer, the first thing you should do when you install Leopard is take a look at the new developer tools. You’re in for a real treat. We’ve put a lot of time and effort into improving Xcode and Interface Builder so that it’s easier to create and maintain large projects. We didn’t stop there, however. In Leopard, we’re introducing the entirely new Instruments and Dashcode tools. Instruments will let you take a look at how your application runs like you’ve never been able to before. Dashcode lets you build Dashboard widgets in no time flat. Xcode is Apple’s Integrated Development Environment (IDE) for creating any code for Mac OS X. It’s the centerpiece application of your workday. Because it’s such an important part of the development process, we’ve spent a lot of time making the latest version of Xcode streamlined and faster, in order to make you more productive. The first place you’ll notice Xcode’s improvements is in the text editor. Code folding, scope highlighting, and iChat-like message bubbles that clearly mark build warnings and errors as well as breakpoints, are some of the key editing enhancements. To help you access documentation while you work, the new Research Assistant gives you a heads-up display of relevant information about symbols in your code in a convenient, small panel. If you need more information, you can simply click for more detail and the full documentation window will open. And, to help you experiment with your code, Project Snapshot lets you record the state of your project and snap back to that state at any point in the future. This lets you quickly try out an idea without having to check things back into your projects source code repository. Interface Builder is the intuitive, easy-to-use tool for creating and editing user interface resources files (nib files). These files represent a set of interface objects and their relationships, as well as their connections to your application’s logic. In Leopard, Interface Builder has been thoroughly modernized and updated, both to support the new interface technologies in Leopard as well as to make the applications you develop easier than ever to build. In addition to laying out your user interface, Interface Builder now lets you add impressive Core Animation-based behaviors to your application, such as the iChat sliding list view or Keynote-style transitions, in a matter of minutes. And it even has features that improve the ability to see differences between versions of your interface. It also comes with a new Interface Builder Kit API for plug-in developers. Instruments is a brand-new, timeline-based performance visualization tool that gives you the ability to see how your application works like you’ve never been able to do before. It lets you watch CPU, disk I/O, memory usage, garbage collection, events, and more in the form of graphs tied to time. For example, you can track UI events in real-time and see how they affect I/O activity and CPU load at the same time. And, once the data has been collected, you can scan back and forth through your application’s run and see exactly what occurred, and when. Instruments builds on top of the open source DTrace utility. DTrace is a comprehensive command-line monitoring utility that can probe almost any aspect of system performance. It comes with a large set of tools that cover most general aspects of system performance, including both kernel and user code, with near-zero overhead. If there is an aspect of the system that you want to track that isn’t already supported, you can create your own tool using the D programming language. Leopard brings a multitude of improvements and additions to the Cocoa application framework set. The most visible of these is the new Core Animation framework which makes creating compelling interfaces much easier. Not as obvious, but no less important is the addition of garbage collection to Objective-C, new graphical controls, and 64-bit capabilities up the entire Cocoa stack from the BSD core system up to graphics, sound and networking. In addition, Leopard brings a factor of ten increase in the performance of Core Data. Core Animation is a Cocoa framework for creating animated, composited, and dynamic user interfaces with a simple and approachable programming model. The fluid animations it creates are enabled by Quartz, OpenGL, and Core Image, yet it exposes a familiar NSView-style hierarchy that mirrors that of the Application Kit view architecture. Many of the new user-level features in Leopard, such as Spaces and Time Machine, utilize Core Animation to perform their user interface transitions. Using Core Animation, your application can effortlessly provide a cinematic user experience to your users. You’ll be able to smoothly move user interface elements around the screen, fade them in and out, and add effects with just a few lines of code. In addition to Quartz and Core Image, you can also leverage Core Video and Quartz Composer to achieve a wide range of visual results. You can direct Core Animation from either code or by using Interface Builder. Objective-C is an ANSI C compatible language with dynamic object-oriented extensions. It combines the power of Smalltalk-style message passing with the performance and native system-level access of C. From the start, the abilities of Obj-C have fueled the power of the Cocoa framework. Now in Leopard, the Objective-C runtime has been updated to include a thoroughly modern and high performance garbage collection system, making memory management a thing of the past. Also new in Objective-C 2.0 are a set of syntax improvements, including property accessors and fast enumeration. These improvements bring the language up-to-date with the expectations of today’s programmers. And, since Objective-C 2.0 is compatible with existing Objective-C source, you can adopt it at your own pace. Instant messaging has become an essential tool for users to communicate and collaborate. In Leopard, the ability to collaborate has been taken to a new level. In an iChat session, users will be able to use iChat Theatre to present data from another application, such as iPhoto or Keynote, as part of a video conference. The applications you create will also be able to integrate with iChat in the same way using the Instant Messaging framework via the Core Video and Core Audio APIs. Once integrated, the Instant Messaging framework will automatically compress the content, using the H.264 codec, and send it across the network to the remote user’s display. Another new feature in the Instant Messaging framework is the ability to manage presence. This means that your application can query the iChat status of the user, indicating whether they are available or busy and what their status message is, as well as manipulate it. As well, it will give access to the buddy list. If you are building an application which allows users to collaborate on content, you could use the APIs to notify users when their friends or co-workers were online. The old assumption that displays are 72dpi has been rendered obsolete by advances in display technology. Macs now ship with displays that sport native resolutions of 100dpi or better. Furthermore, the number of pixels per inch will continue to increase dramatically over the next few years. This will make displays crisper and smoother, but it also means that interfaces that are pixel-based will shrink to the point of being unusable. The solution is to remove the 72dpi assumption that has been the norm. In Leopard, the system will be able to draw user interface elements using a scale factor. This will let the user interface maintain the same physical size while gaining resolution and crispness from high dpi displays. The introduction of resolution independence may mean that there is work that you’ll need to do in order to make your application look as good as possible. For modern Cocoa applications, most of the work will center around raster-based resources. For older applications that use QuickDraw, more work will be required to replace QuickDraw-based calls with Quartz ones. The Calendar Store framework provides access to a user’s iCal calendar data. Using the framework, you can fetch calendars, events, and tasks from iCal’s data storage. This allows your application to work with the same data as iCal, Mail, and any other application that a manager uses to interact with their schedule and to-do items. Each release of Mac OS X builds on and expands the capabilities of QuickTime, Quartz, OpenGL, and Core Audio, and Leopard is no exception. The Graphics & Media frameworks in Leopard enable all of the higher-level application technologies, and expand them in new and exciting ways. Image Kit is a new and robust Cocoa-based framework powered by Core Image and Core Animation. It makes available powerful imaging services that can be easily incorporated into your application. It provides functionality for finding, browsing, and viewing images in a collection. You can rearrange images in a group view as well as rotate individual images. Image Kit also provides a gateway for browsing, previewing, and setting Core Image filters on an image. OpenGL is the industry-standard API for developing portable, interactive 2D and 3D applications. Mac OS X has supported OpenGL from the outset and in Leopard it adds pixel buffer objects, color managed texture images in the sRGB color space, and improvements in the shader programming API. Leopard also provides a dramatic increase in OpenGL performance by offloading CPU-based processing onto another thread which can then run on a separate CPU core feeding the GPU. This can increase, or in some cases, approach double the performance of OpenGL-based applications. Working with video using QuickTime has long been a strength of Mac OS X. Now, it’s as easy to build video capture into your application as it is to work with pre-recorded video. By using the QTKit Capture API, you can capture video from an iSight, USB (VDC) and FireWire (IIDC) devices, and DV cameras. The API even lets you output to multiple outputs. QuickTime’s plumbing has received significant upgrades in Leopard. There have been significant enhancements in handling the H.264 encoding. And QuickTime now supports 64-bit. Note that the functionality for 64-bit QuickTime is only provided via the QTKit framework. The C-based QuickTime API is supported in 32-bit mode. Mac OS X has used images in many applications for a while. For example, when you first set up Mac OS X, it will take your picture if you have a camera built-in or attached. Leopard exposes the ability to take a user’s picture to any application using the Picture Taker Panel. It will handle all the details of whether a user has a camera built-in or plugged in as well as providing a flash. In short, you can open the Picture Taker Panel and, once the user is satisfied with their picture, your application will be handed a picture return value. The heart of Mac OS X, the Open Source Mach- and BSD-based UNIX layer known as Darwin, continues to see improvements in Leopard. The latest Mac hardware brings more processing power, more cores, and more memory than ever before. The kernel in Leopard has been updated to take advantage of this new hardware. Leopard certainly won’t be UNIX in name only. Apple will submit Leopard and Leopard Server to The Open Group for certification against the UNIX ‘03 product standard. First implemented at the UNIX level in Tiger, Leopard brings 64-bit support to the Mac OS X application level. You can create 64-bit applications that can address extremely large data sets, up to 128TB using the current Intel-based CPUs. The 64-bit model used in Mac OS X is known as LP64 and is the same model used by other 64-bit UNIX systems from Sun and SGI as well as 64-bit Linux. And there’s more: the 64-bit support in Mac OS X maintains the ability to run current 32-bit applications. On Intel processors, 64-bit applications have an increased number of CPU registers available in 64-bit mode, and they may run faster than their 32-bit counterparts. 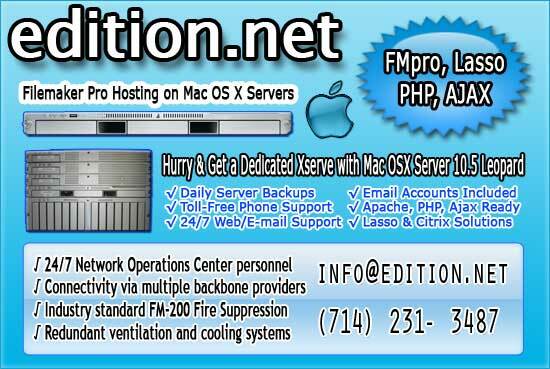 Mac OS X and Mac OS X Server provide a rich set of features and enable a rich set of solutions. Each version of Mac OS X Server has made impressive leaps in functionality while offering easy to use management tools. Leopard provides the most powerful version of Server, built on a host of open source products and tools that make it a server for anyone from sysadmins to IT managers to developers maintaining a lab of test and development Macs. Best of all, Leopard Server is a superset of Leopard. That means it uses the same kernel and supports the same 64-bit capabilities. Building on top of Leopard’s 64-bit frameworks, all of the services in Leopard Server are 64-bit enabled. This means that they will be able to take advantage of massive amounts of memory as well as enjoy performance increases on Intel-based 64-bit processors. Leopard Server ships with an updated version of Open Directory that supports LDAP proxying, cross-domain authorization, cascading replication, and replica sets. It even supports RADIUS authentication for AirPort base stations deployed across your office or campus. The Darwin Calendar Server allows users to collaboratively share calendars across an organization. It provides a shared location to store their schedules and sync them between machines. It also allows users to send each other invitations to events. Implemented using the CalDAV protocol, it supports multiple calendaring clients, including Leopard’s iCal, Mozilla’s Sunbird, OSAF’s Chandler, and Microsoft Outlook. Leopard Server features a built-in installation of the powerful and productive Ruby on Rails web application framework. Ruby on Rails is a full stack framework optimized for sustainable productivity. Leopard Server will ship with Mongrel for simplified development and deployment of web-based applications. The next generation of the world’s most advanced operating system is now available. Tap into the innovative technologies of Mac OS X Leopard and design your products with new and compelling features. With an ADC Premier or Select Membership, you have a range of developer resources from Apple engineers and experts, including ADC on iTunes, Coding Headstarts, the ADC Compatibility Labs and more. Learn how ADC Memberships provide you Apple expertise. From code to market.